In many of the articles here on EMF Academy, I recommend Air Tube headsets as a way to use your cell phone without it being near your head. However, I’ve had a ton of questions about what air tube headsets are, how they work, and what are the best air tube headsets and earbuds. So in this guide, I want to cover all the questions you might have about air tube headsets, sometimes called anti-radiation headsets, as well as show you what I think are the 5 absolute best air tube headsets you can get in 2018. Want To Skip Straight To The Best 5 Air Tube Headsets? What Is An Airtube Headset? The primary difference between a normal headset, and an air tube headset like my favorite pair from DefenderShield, is the way the sound gets to your ears. Normal headphones like the ones that came with your Apple phone are a purely wired connection, which exposes your head to a much larger amount of EMF radiation. 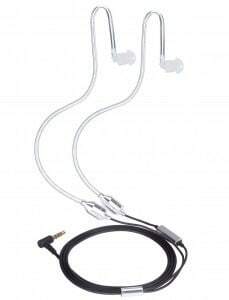 An air tube headset has a hollow flexible air tube that replaces the wire from your phone to the small earpiece. The sound travels through this tube of air to your ear, giving you quality sound without exposing you to radiation. The main point of using headphones, in general, is to get the phone away from your head while you’re using it, dramatically reducing the radiation you expose yourself to. An air tube headset takes this to the next level, further protecting your brain. These air tube headphones work just as well as conventional headsets, plugging into the same port, and providing the same functionality. Many even have microphones so you can talk while driving, or if you’d just like to keep the phone away from your head. 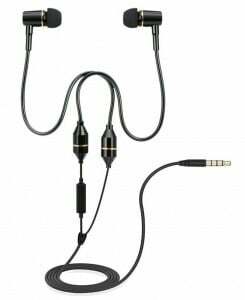 An air tube headset is a pair of earphones coupled to a microphone with an ‘air tube’ component. Regular headsets consist of a 100% wired connection. The difference is that an air tube headset has typically a part wired component and a section of the hollow flexible air tube, replacing the wire. 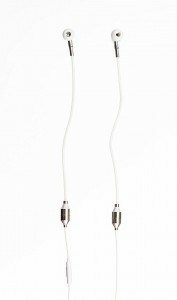 This wire and hollow tube component transmit the sound from your device (cell phone, mp3 player or other) to your ear. The peculiarity of this air tube is that it contains no metal. An air tube headset plugs into the jack on your cell phone the same as a conventional headset. Why Would You Want An Air Tube Headset? Hopefully, since you’re on my website, you understand how harmful EMF radiation from your cell phone or other electronic devices can be. The principal reason to get an air tube headset is to reduce your radiation exposure. It has been shown that EMF radiation from a cell phone can quite easily travel through the wire of a normal headset and into your brain. In addition, Bluetooth headphones are extremely dangerous and have been shown to increase the chance of developing certain brain cancers. On the contrary, air tube headsets use sound waves to transmit the sound from the device to your ear, reducing your exposure to EMF radiation by as much as 98%. The primary way it reduces the radiation is the distance it puts between you and your cell phone, as well as preventing much of the radiation from traveling through the headset. Take a look at the following illustration to understand a little better how these air tube headsets protect you. Are There Downsides Of Air Tube Headsets? Absolutely, although if you are at all worried about EMF radiation, I can assure you that the positives far outweigh the negatives. Let’s talk about some of the downsides of air tube headsets in general. Durability – Since air tube headsets use exactly that, a rubber tube, they are much less durable in general. The tube, if handled poorly, can be damaged or kinked. So you want to handle it with just a little bit more care than a normal wire set. Most air tube headphones come with a carrying case to help protect them. Sound Quality – Although the sound quality of most of the headphones I reviewed here today are quite good, they will likely not be quite as good as a similarly priced pair of conventional headphones. When the sound waves travel from the small speaker to your ears, some quality is lost. However, you will likely not notice much of a difference if you get a quality pair like the ones from Defendershield. Ok, now that we’ve talked a little bit about how Air Tube headsets protect us, let’s take a look at the 5 best pairs of 2018. When creating this list I kept all of these factors in mind. These selections have been made after many hours of research, reading reviews, and comparing products. Get them from DefenderShield here. The team over at DefenderShield recently sent me a pair of their air tube headphones to try out for myself, and I can honestly, with a clear conscience, say, I was blown away. I’ve tried out quite a few air tube headphones in the past, and I can honestly say that the sound quality of the Defendershield is far better than any I’ve heard. In fact, I’m literally listening to music with these headphones as I type this post, and it is dramatically improving the experience. Like any good pair of headphones, they have a nice mic attached below the speaker for the left earbud. You can click the microphone to answer calls or to play/pause the music you’re listening to. Another simple feature that I really like with these headphones, is that the back side of each earbud has a magnet so that they snap and stay together. This makes them much easier to keep together and store, which is really important, as the tube can more easily be damaged. This is also super handy when you’re out and about because you can just wrap the headphones around your neck and snap them together to keep them in place. I also really appreciated that they came with three size rubber earbuds, a small, medium, and large. As soon as I started listening to these, I could immediately tell the quality was far beyond anything else I had tried. In fact, do me a favor, will you? As soon as you get them, plug them into your computer and turn on this song. Listen carefully at the beginning as the sound moves beautifully between your ears. As soon as the song kicks in, sit back and relax, really focus on the quality of the sound. If you aren’t honestly amazed by the quality of the sound, email me ([email protected]) and let me know. Or, email me anyway while you’re listening to the song and tell me that you to were blown away, we can chat about that. I use to primarily recommend the next pair from Tuisy, but after trying out the DefenderShield pair for a few days, I just had to add these to the best air tube headphones of 2018, it wouldn’t be right not to. They are a bit more expensive then other pairs on this list, but I promise they are worth it. The Tuisy Air Tube headset is by far my favorite on the market and the pair that my wife and I currently use. They are attractive, simple to use, well priced, and have great sound quality. Let’s talk about some of the reasons I think these are the best air tube headphones on the market. Certified Radiation Protection Patent – The Tuisy Air Tube headphones were granted a patent from the World Intellectual Property Organization (WIPO) for their unique design. The Tuisy air tube headset reduces EMF radiation by as much as 99.9%. Complete Radiation Protection – Apart from the radiation protection that the air tube itself provides, Tuisy took radiation protection seriously by also adding additional features. First, the wire portion of the headset uses special shielding to prevent EMF waves from traveling up the headset itself. They also have no speaker in the earbuds themselves, protecting you from magnetic radiation. Microphone And Sound Control – There is a quality microphone attached to the wire portion of the headset, allowing you to talk hands-free. There is also a small control on the headset that allows you to answer/hang-up calls, control sound, etc. without using your phone or audio player. Carbon Fiber Case & Accessories – If you remember from our section about the downfalls of air tube headphones, you’ll remember that they are a bit more delicate. The Tuisy air tube headset comes with a very nice carbon fiber case to store and transport the headphones in. 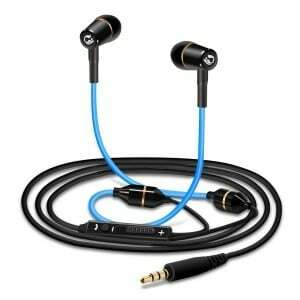 The set also comes with three total replacement earbuds in different sizes to comfortably fit any ear. Taking everything into mind, I think these are without question the best air tube headphones on the market considering the price. They work great, have lasted really well for my wife and me, are well reviewed, and just a great value in general. If you’re interested in picking up a pair, the best place to pick them up is on Amazon. The next air tube I really want to talk about is the popular Kinden Air Tube headset. Kinden has been making air tube headsets for a while and is a known brand in the space. One of the things I really like about the Kinden set is the design of the air tube itself. As you can see from the image, the black portion is wired, but the air tube itself is clear. I also like the curved design that is meant to wrap around your ear. This makes this set the best air tube headset by far for working out, as they do a great job staying in your ear. The Kinden headset has a fairly good quality microphone on it that works great for phone calls. The set also has noise canceling ear tips that help to deliver a good quality crisp sound. This is also probably the least expensive pair of quality air tube headphones you will find. This makes them ideal for someone who is curious about air tube headsets but doesn’t want to drop too much money to start. 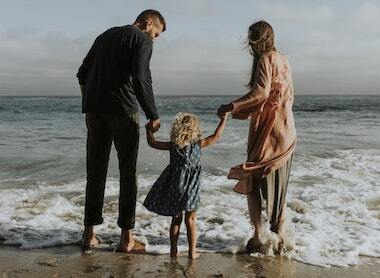 If you’re not familiar with the name, Dr. Mercola has almost become synonymous with alternative health and medicine, including EMF radiation protection. He is one of the leading Doctors in the field and looked to often for insights into the dangers of EMf radiation. 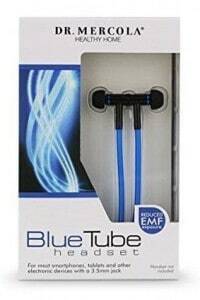 The Blue Tube headset by Dr. Mercola is one of the best air tube earbud sets on the market, and for some pretty good reasons. First of all, this anti-radiation headset uses state-of-the-art air-filled tubes to transmit the sound waves that utilize zero metal components. Let’s look at some of the best features of this set. High-Quality Sound – Out of the air tube headsets I review in this post, these have perhaps the highest quality sound. Using advanced acoustic technology, the sound that does make it to your ear is extremely clear and full. 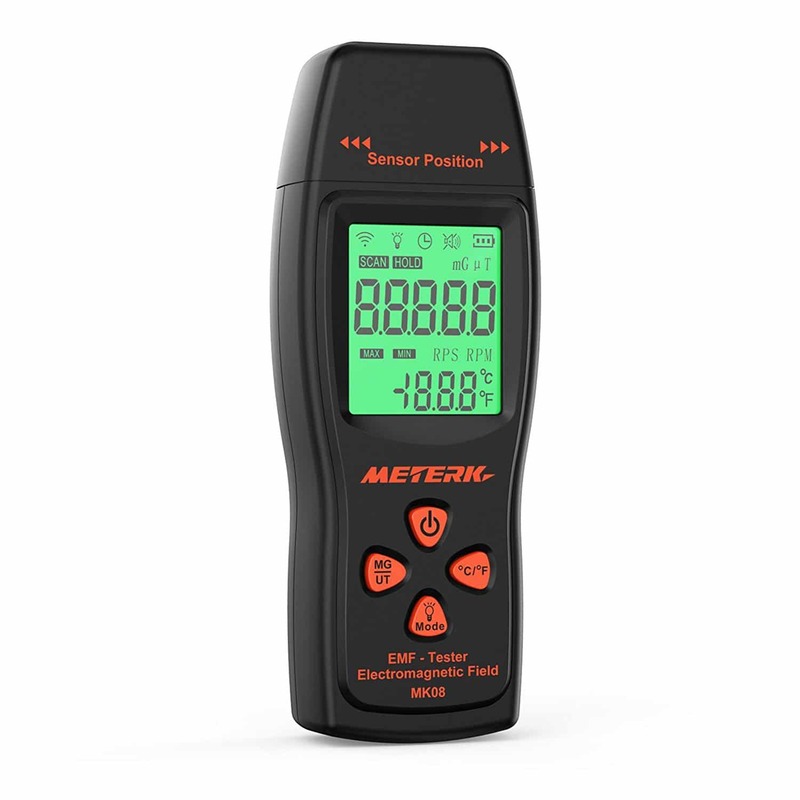 High Amounts Of EMF Protection – These take EMF radiation protection very seriously. The design of the entire set is focused on reducing the maximum amount of radiation. Now let’s talk a little bit about a few things that I think are lacking with this set. First of all, people reported that the microphone did not work as well as they had hoped, especially if it was windy outside. Also, some people had issues with the earbuds shorting out over time. Overall these are a good quality set of headphones, but for my money, I would stick with the Tuisy. This set by Docooler is actually pretty great, and certainly worth considering. It has an overall nice look and is fairly high quality. I think if it had come with a carrying case I may have bumped it up a spot or two. Let’s talk about what I like. First of all, I think the Docooler air tube earphones might just have the highest quality microphone of all of the ones I’ve reviewed here. As well as a high quality, stretch proof air tube. Together these work to reduce radiation by 98% or more. Next, let’s take a quick look at a fairly popular pair of Air Tube headphones by RadiArmor. These are a medium priced, fairly high-quality set of air tube headphones that offer solid sound quality. 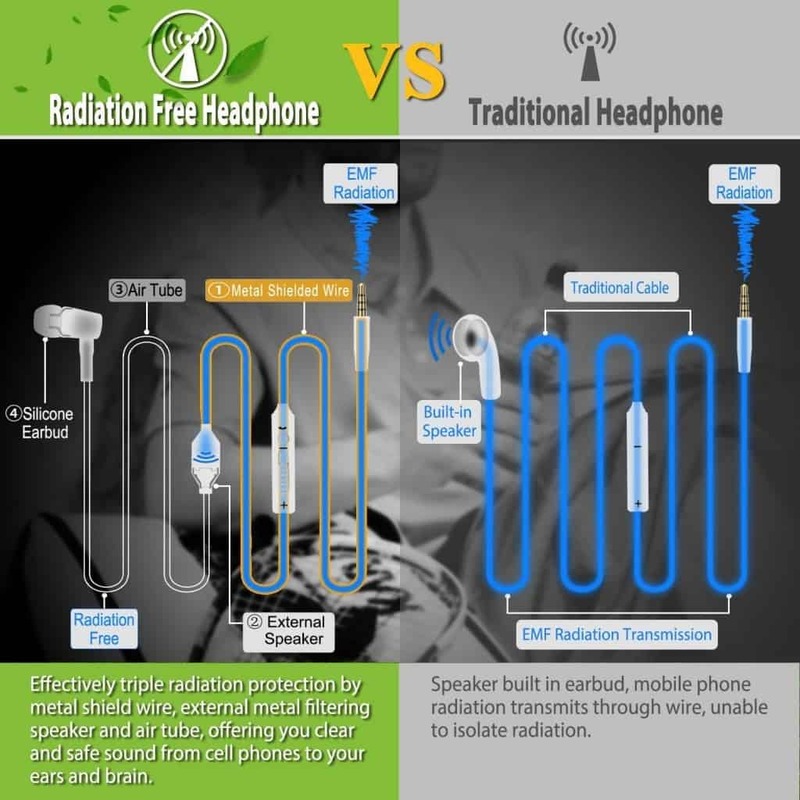 The manufacturer says that they reduce radiation by 99.9% compared to holding a cell phone, and reduce radiation by 97% compared to an ordinary pair of headphones. They feature a simple one-touch call answering button as well as a small microphone on the wired portion of the headset. They have an extra long cord that is nice if you’re driving and need to set your phone in the console, cup holder, or passenger seat while still talking. Not much else to say about RadiArmor’s air tube headphones; all in all they are a medium quality pair, at a medium quality price. The bottom line is if you care at all about the dangers that exposure to EMF radiation poses, I’d highly suggest you look into air tube headphones. They are relatively inexpensive and make for a simple and effective way to reduce your exposure. 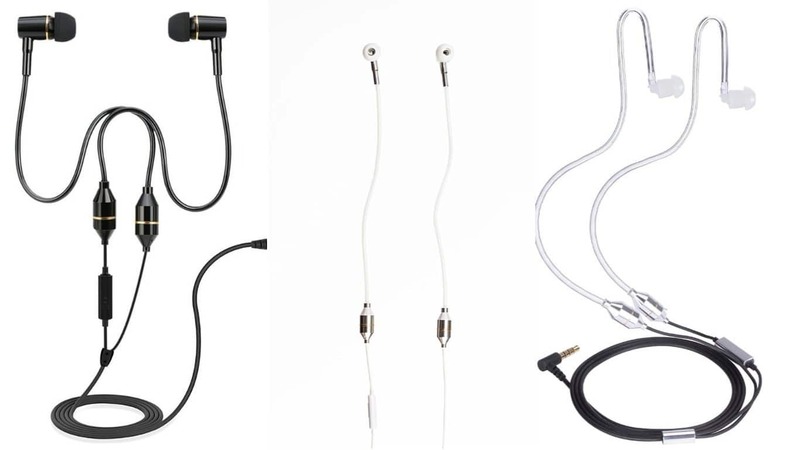 I think without a doubt the best air tube headset on the market are the Defendershield Air Tube Headphones, but any of the ones I’ve reviewed here are a fine choice. Thank you so much Darron, really appreciate it! I recently lost my Apple ear phones, before buying another set, my sister suggested I check out the EMF one’s first. I happened to find your site in my search, and love the fact you did your homework. I will definitely consider your suggestions. Thanks!